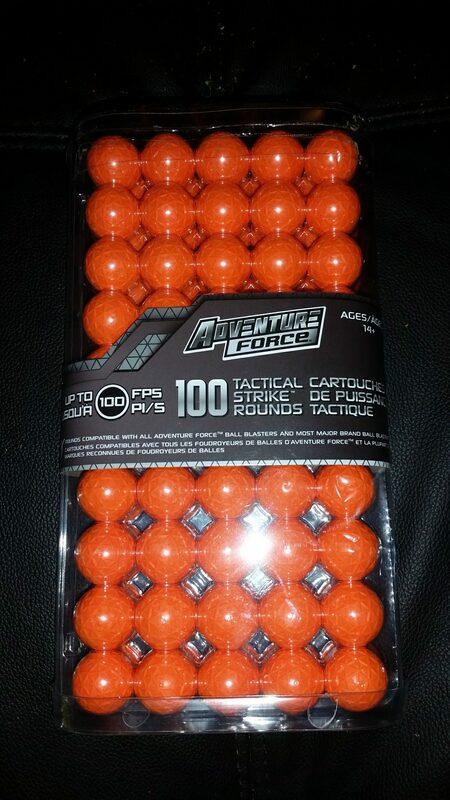 After a recent trip to Canada, I was able to buy one of the Adventure Force 100 packs of balls at Walmart Canada. As reported earlier, Prime Time Toys is going to be bringing their, well, rival to Rival out in the United States. Two blasters, masks, and ammo will all be available at Walmart come January. 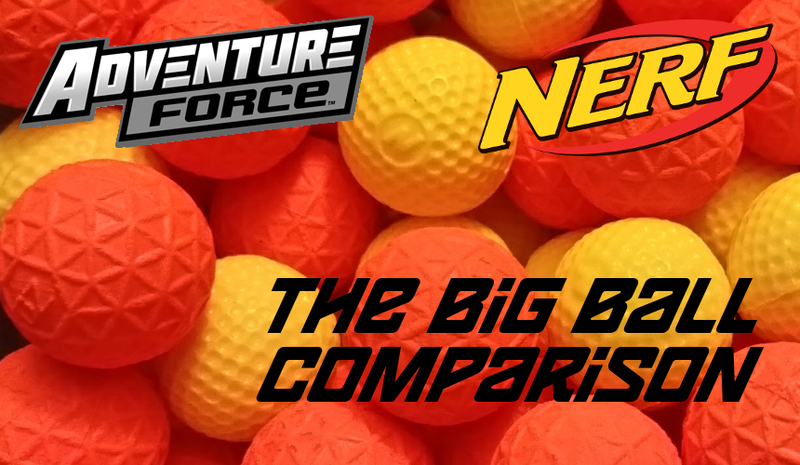 As it turns out, the Adventure Force ammo is slightly heavier, but has comparable performance to Rival balls. And it comes with a better price. The Adventure Force rounds were purchased for $25 CDN, which under current exchange rates translates to $20 USD. Already, this beats the $29.99 MSRP of the Rival 100 round packs. This also makes these rounds comparable to some online options, like Headshot rounds. 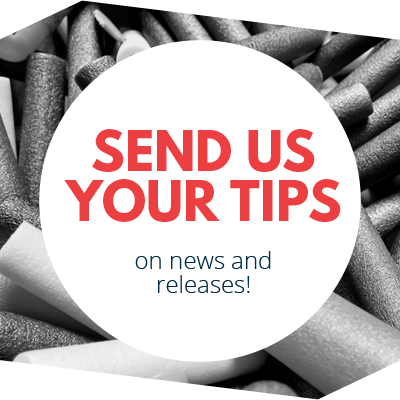 Note, however, that today we’re only examining store-bought rounds. The rounds themselves are visibly different from Rival and other rounds, as well. Instead of round dimples a la golf balls, the Adventure Force rounds feature a triangular pattern. The end result is still a pattern of raised ridges and dimples, but the attention to detail is nice. In terms of mass, my purchased rounds clocked in at an average 1.88g each, with little variation. Rival rounds only averaged 1.83g each. For a reliable comparison of ball velocity, I chose the Dart Zone Ballistix Powerball. Soon to be rebranded as the Adventure Force Titanium, it’s hopper-fed (or magazine, if you have them on hand), and claims 100fps potential. More importantly, it’s a manual blaster that should do the same thing every time you fire it, without need to wait on flywheel revving. After firing each type of round 100 times, the Rival balls averaged 97 fps, while the Adventure Force balls averaged 95fps. There were no outliers above 101fps or below 92 fps for either round. In practical terms, these are essentially identical performances. The other metric to test was round accuracy. Ball rounds with hop-up have a known behavior (relatively straight flight, followed by a sharp drop), and an inherent range limit. My setup, therefore, was simply firing level at a narrow doorway 50′ away and counting how many rounds flew through. 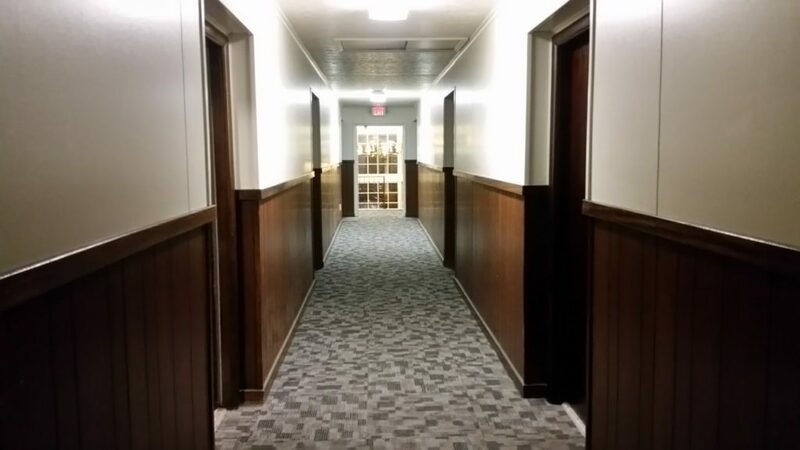 In the case of both round types, all shots fired went through the doorway (~2.5′ in width). In addition, I did break out my modded Nemesis (up to 130 fps on a 3S lipo) to see how both rounds fared under full auto, high velocity conditions. Both clouds of ammo performed similarly, with enough hop-up to force me to aim slightly lower than level in order to clear the doorway. At least in my testing, there was no visible difference in performance between the two rounds. The Adventure Force/Dart Zone rounds are yet to be released in the United States, aside from the eight that come with each Powerball blaster. 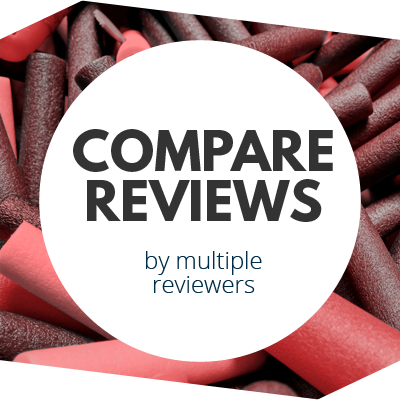 With large amounts on hand to test, however, I can say with confidence that these rounds perform just as well as Nerf Rival rounds. That, combined with the lower MSRP and the easy access (Walmart stores), means that Nerf has have viable competition for the Rival line come January. 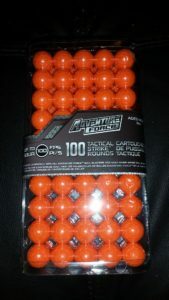 As of this edit, Walmart was carrying the Adventure Force Tactical Strike Rounds for $8.88 per 50 pack, which equals (pre-tax) $17.76 per 100 rounds. As it stands, this is a great deal for ball-type rounds. 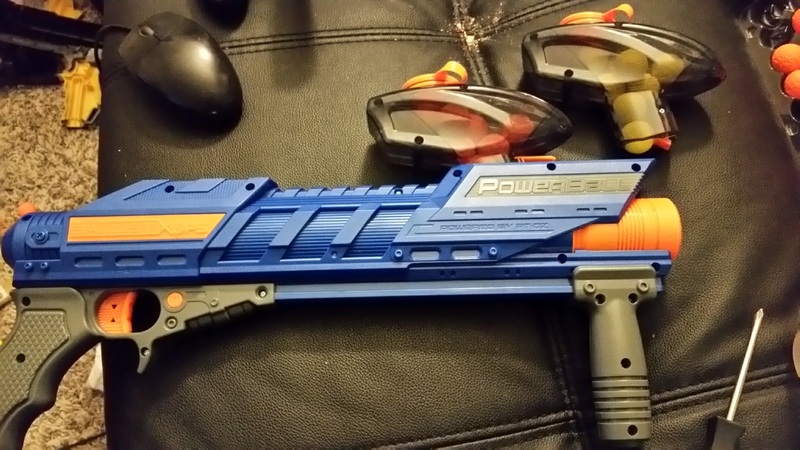 This entry was posted in Parts/Ammo, Reviews and tagged adventure force, dart zone, prime time toys, review, rival on December 5, 2017 by BuffdaddyNerf. The slightly slower velocity makes sense with a slightly heavier round. My biggest issue is the hoppers. I’ve never liked how they feed.